Lao Khang comes from a small village in Nonghet District in the rural north of Laos. Like many of her classmates, she helped on the family farm, in addition to keeping up with her schoolwork as she was growing up. At 13 years old, Lao Khang stopped going to school so that she could take care of her family as her father had fallen ill. “I couldn’t talk about what I wanted at that time,” she says. In 2012, at age 20, Lao Khang was introduced to the world of sport through ChildFund Laos’ sport for development activities in Nonghet, taking part in the first pilot of what was to eventually become ChildFund Pass It Back. Lao Khang learned about the sport of rugby, and seized the opportunity to be a part of something new that was engaging young boys and girls in her community. She began participating in rugby for leadership sessions held in the village, eventually becoming a Coach, which led to an internship with the Lao Rugby Federation (LRF). 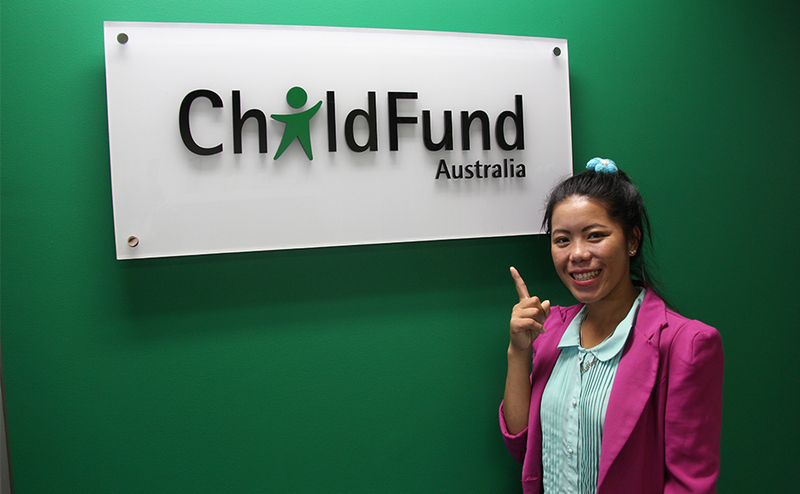 For Lao Khang, one of the earliest participants in ChildFund Pass It Back, the experience has been life-changing. A native Hmong speaker, she worked hard to improve her Lao language skills while also supporting LRF and ChildFund with coaching work in Vientiane, as well as organising rugby events and activities in Nonghet District. As her rugby skills improved Lao Khang was also selected for the Lao Women’s National Team. Since 2014, she has represented her country at international tournaments in Thailand, Hong Kong, South Korea and Singapore including the 2014 Asian Games and the 2015 Southeast Asian Games. In 2014, Lao Khang was awarded a Global Sports Development’s Athletes in Excellence Award. She is also the first person from Xieng Khouang Province to earn a World Rugby Coach Educator qualification and now helps lead World Rugby courses in Laos as well as helping with coaching courses in Vietnam. Lao Khang says: “As a girl I was always very shy. Now I am a brave and confident young woman. “Before I began playing rugby I only knew people in my small village. Now I have friends all around the world. In 2018, Lao Khang was named by the BBC as one of its 100 most influential and inspirational women from around the world, chosen for their impact on their communities.